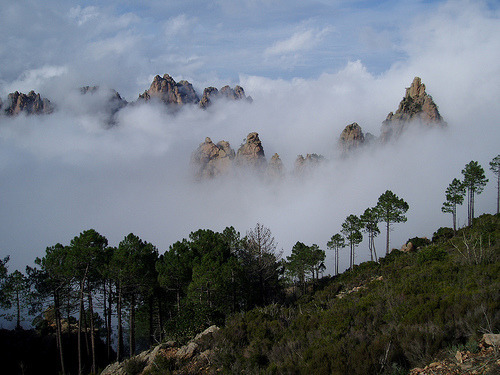 This entry was posted in photo and tagged corsica, hiking, landscape, trees. Bookmark the permalink. I AM MOSTLY HUMAN, PART MACHINE AND ALWAYS A CONTINUOUS WORK IN PROGRESS. I LOVE SUSHI, ICE-CREAM, MUSIC, WRITING, MY DAUGHTERS, MY LOVE, ANIMALS INCLUDING THE DOMESTIC ONES, AND GIN AND TONICS. BUT NOT NECESSARILY IN THAT ORDER. ACTUALLY, I LIKE A BUNCH OF STUFF. I LIKE MORE ‘STUFF’ THAN I DISLIKE. BUT THAT DOES NOT MEAN I AM NOT PARTICULAR. I LIKE TO THINK IT MEANS I’M OPEN-MINDED.